Aside from one lesson many years ago I had never surfed, but Boosy went through all the necessary steps in a clear and easy to follow manner, both on land and then out on the water. By sticking to his advice I felt that I made good progress - certainly standing by the first lesson, and catching my own waves by the second. Thanks for the vote of confidence with the whole "Surf Legend" title. I am just that dude who loves to surf and I really enjoy meeting you all and helping you understand the fundamentals/basics. You picked up really quickly, like I said due to those long arms and that swimming technique you are way ahead. Keep surfing and see you in the future. Thanks for writing the review. Can't imagine a better way to spend a day in Barbados than surfing with Christian! Not only a excellent teacher, but a great person who will go above and beyond to make sure that your surfing lesson is fun, safe and a memory to last a lifetime. Truly #1. Tess Thanks for writing the review! 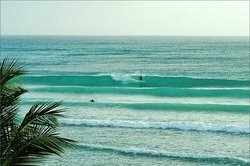 Keep training and shred those waves in Bali just like how you did here in Barbados. Make sure to take lots of pics. Keep well and keep smiling! The waves were definitely more challenging but you ain't no push over! Strong like bull said in a Russian accent of course! Thanks again Kristen for surfing with me and writing this review. It's always a great time with you! The best surfing teacher ever! It definitely was the best experience of surfing that I have had so far, and it definitely makes me want to go back. Go SURFING WHILE YOU ARE THERE ITS WORTH IT!! Better late than never! Farren Thanks for taking the time o write this review. I know there is still a lot of world for you and Andrea to travel and see but always know that you all are most welcome back here. 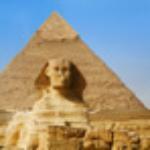 :-) All your pics on FB from your travels are inspiring. Thanks again and all he best. People, location, and lesson were all fantastic – would return in a heartbeat. 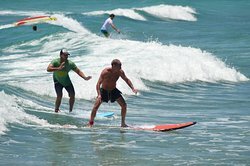 As a very beginner surfer, I was super jazzed to learn that we could go for a lesson in Barbados. We heard about Boosy’s Surf School from a local, and ended up taking multiple lessons with Christian. It was a great feeling to move beyond an instructor just pushing us into waves – he explained things so well and really helped us improve. People, location, and lesson were all fantastic – would return in a heartbeat. Super Jazzed!!!!!! It was great to meet you and EZ and helping you all to understand your surfing a bit more was my pleasure! Now you all be careful in those mountings with all those odds and goods and odd goods everywhere. LOL....... Seriously though keep well work hard as I know you all do. Ou all are always welcome back, see you at Sol for happy hour! You all are a great couple! Thanks for everything! Fantastic beginner's surf lesson for our family - kids were 7, 11 and 13. We are all novices and Christian managed to get us all standing up and surfing a wave in by the end of the two hour lesson. We were even joined by green turtles. It was a highlight of our time in Barbados. You all represented NZ in great fashion. Still think doing the Haka like the rugby team would be awesome. Learn that one for next time we surf. Great kids all troopers, it will be a great adventure watching them grow up and learn all kinds of new things. Thanks for surfing with me I hope you all will keep it up. Thanks for the review! Wishing you all the very best!